The sight that's got a point: The Nerf Red Dot Sight helps improve your aim. 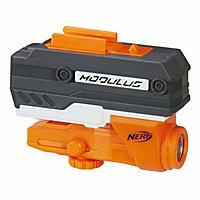 The Nerf Modulus Red Dot Sight is a remake of an older accessory, called Pinpoint Sight. Because it was hard to get, it became a popular collector's item soon. 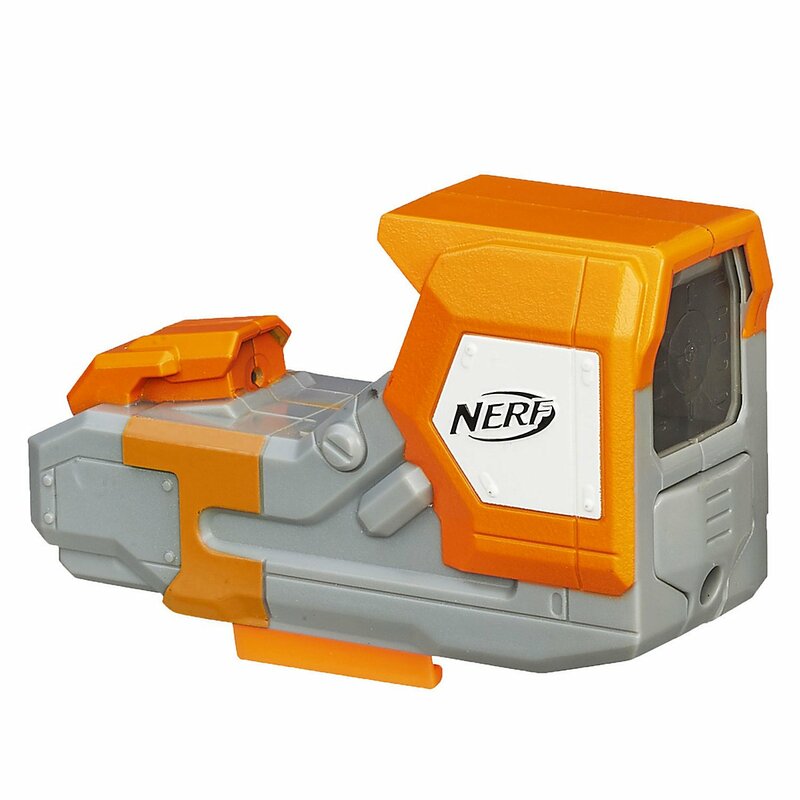 The joy was great, when the Pinpoint Sight became available in the Nerf Modulus Stealth Kit. Now we offer something that will bring even more joy: the Red Dot Sight is now available separately from us. Those who want only this accessory and can do without handle and barrel extension of the Stealth Kit can get the popular sight here! The Red Dot Sight is compatible with all Nerf blasters that have an accessory rail. It fits very well on smaller blasters as the Fire Strike or Strongarm, but makes a good shape for big blasters as well. The sight requires 1.5V AAA batteries (not included). 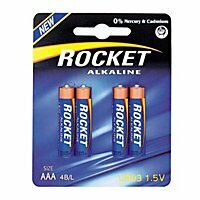 To insert the batteries, you need a Phillips screwdriver. When the sight is turned on, an LED projects a red light spot on the built-in plate, on which one can aim at its target. Unlike riflescopes, you can keep both eyes open, so that the field of view is not restricted. The Nerf Red Dot Sight comes in an environmentally friendly recycling box. The simple packaging of course contains the same quality as in the elaborate boxes, but all plastic covers and colorful printed cardboards of the original packaging was omitted. This not only protects the environment but also your wallet, because this way we can offer the Red Dot cheaper.